But 2016 was a big GOP year. And 2018 may not be. For the August primary, the marquee contest is arguably the Democratic race for county executive. Since April, Stenger has spent almost $1.4 million in his bid for a second term – much of it on TV. That compares to just under $700,000 for Mantovani, a St. Louis businessman. St. Louis County Executive Steve Stenger, left, and his chief Democratic rival, Mark Mantovani. The two have been waging a nasty ad campaign for months. Mantovani has been accusing Stenger of being corrupt, while Stenger questions whether Mantovani is a true Democrat because he has donated to Republicans. With less than a month left before the Aug. 7 primary, Stenger still has $1.5 million in the bank, according to Monday’s campaign-finance filings. Mantovani reported $742,000 on hand. But that includes $250,000 of his own money. Mantovani has put in more than $1.2 million since he announced last year. And he has said he’s prepared to put in more in the final weeks. None of the Republican contenders for St. Louis County executive have raised much money. The executive race is exempt from the campaign-donation limits that now are in place for statewide and legislative candidates. 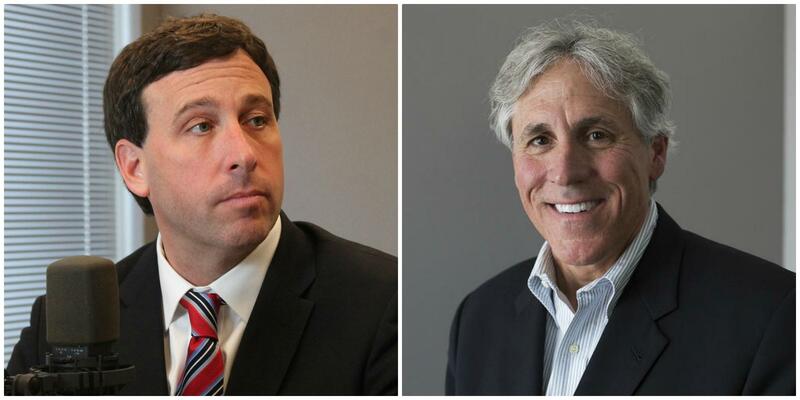 Mantovani and Stenger have said they support some sort of donation limits for county candidates. Wagner campaign manager Brecht Mulvihill said in a statement that the congresswoman is running ads early simply because she wants to reintroduce herself to the 2nd District constituents she has represented for at least five years. The 2nd District takes in much of west and southwest St. Louis County, as well as parts of St. Charles and Jefferson counties. But the fact that she’s running TV ads so early, after skipping them for years, could signal that she’s concerned about this year’s political climate and her potential Democratic challengers. Wagner has plenty of money. Her latest campaign report, filed Sunday, shows her with about $3.4 million in the bank. That’s six times more than the bank account of her best-funded Democratic rival, Cort VanOstran. He reported just over $541,000 on hand. VanOstran’s Aug. 7 rivals include Mark Osmack, a military veteran, who reported $48,530 in the bank as of June 30; and previous 2nd District nominee Bill Haas, whose latest campaign-finance numbers were not available Monday. Meanwhile, in the 1st District, U.S. Rep. Lacy Clay is maintaining a financial advantage over a Democratic rival who's been gaining some national support. After raising $83,174 and spending $58,554, Clay -- a Democrat from University City -- has more than $326,000 in the bank. He’s squaring off against Cori Bush of Florissant, who has about $4,000 on hand. Clay has never lost an election since he began his political career in the early 1980s. But Bush has received support from Alexandria Ocasio-Cortez, a New York Democrat who upended a longtime congressman earlier this year. Ocasio-Cortez is set to campaign for Bush this weekend in St. Louis. State Auditor Nicole Galloway has quietly built up a war chest of more than $1 million in her bid to keep the only statewide office in the state Capitol held by a Democrat. Galloway reported $1.08 million in the bank. She has no serious Democratic rival in the Aug. 7 primary. Among the Republicans vying to challenge her, only St. Louis lawyer David Wasinger has amassed a sizable bank account. He reported just over $760,000 in the bank. That compares to just over $20,000 for state Rep. Paul Curtman, who resides in Franklin County. Former Gov. 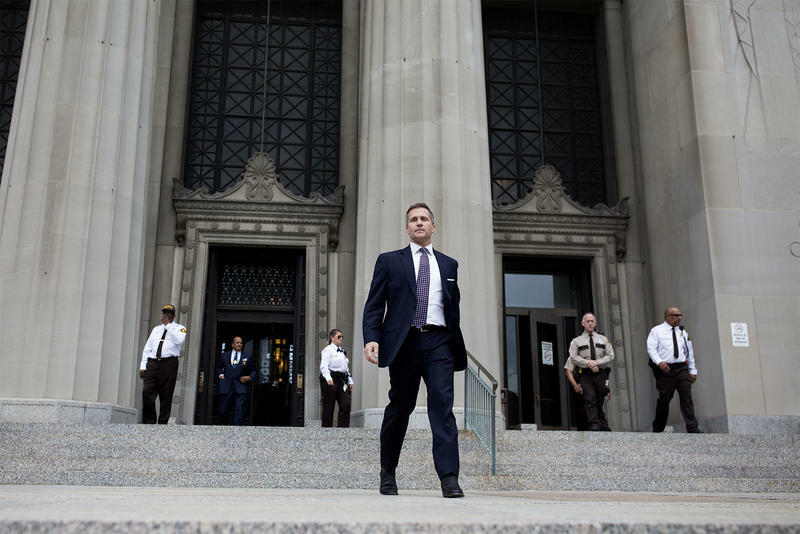 Eric Greitens, who resigned June 1, reported that he still has about $1.1 million in his campaign bank account after spending $1.4 million since April in a quest to stay in office. Greitens stepped down amid investigations into alleged misdeeds involving his personal behavior and campaign fundraising. Most of his spending during the past quarter was for legal fees, much of it tied to the firm of Husch Blackwell. However, he also paid $95,000 to Bask Digital Media of San Diego, apparently for the ads that the former governor aired in an ill-fated effort to defend himself. Jason Rosenbaum contributed information for this article. 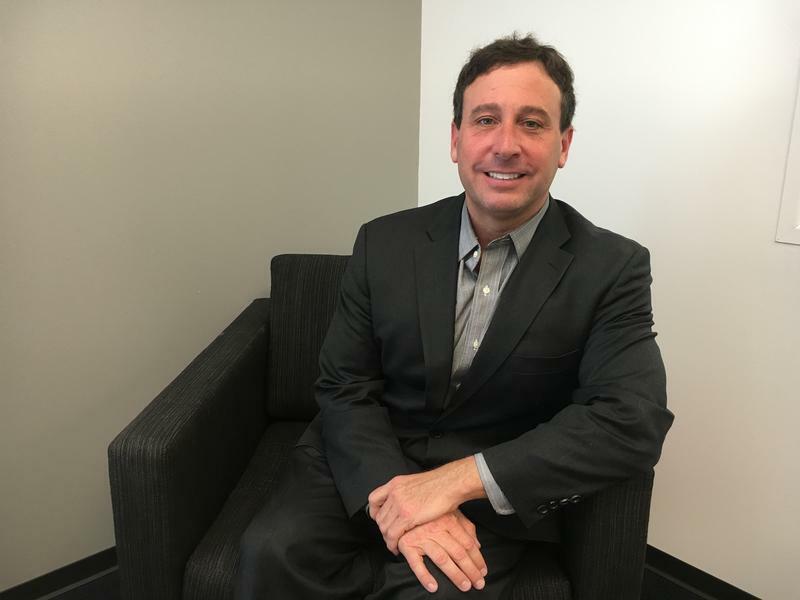 On the latest edition of Politically Speaking, St. Louis Public Radio’s Jason Rosenbaum and Jo Mannies welcome back St. Louis County Executive Steve Stenger to the program. The Democratic chief executive of Missouri’s largest county is running for a second four-year term. His main opposition is in the Democratic primary this August, where businessman Mark Mantovani is seeking to oust him. There are no well-known Republicans seeking the office. 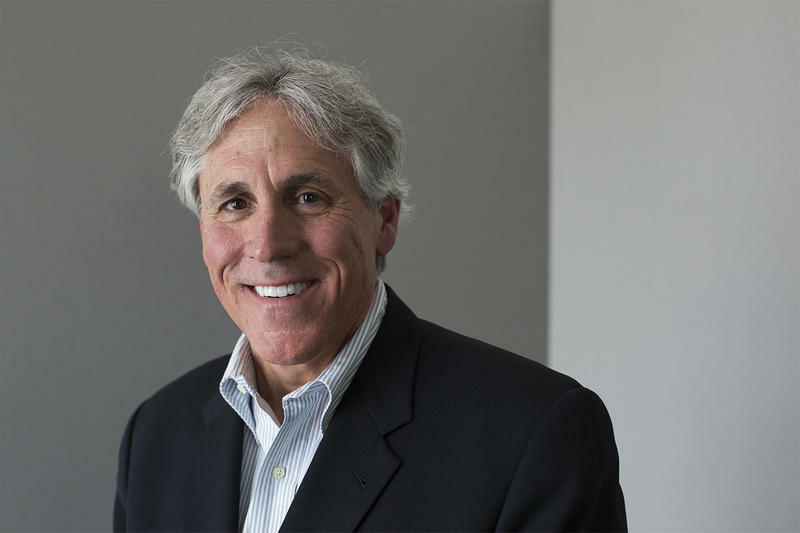 Businessman Mark Mantovani — a Democrat challenging St. Louis County Executive Steve Stenger — joins St. Louis Public Radio’s Jason Rosenbaum and Jo Mannies for the latest episode of Politically Speaking. A graduate of St. Louis University High School, Mantovani grew up in the region and is a former lawyer making his first bid for public office. He is arguably the best-known and best-financed of all of Stenger’s potential opponents for the job overseeing the state’s largest county and its 1 million residents. It’s only April, and already the contest for St. Louis County executive appears to be headed toward the spending record books. 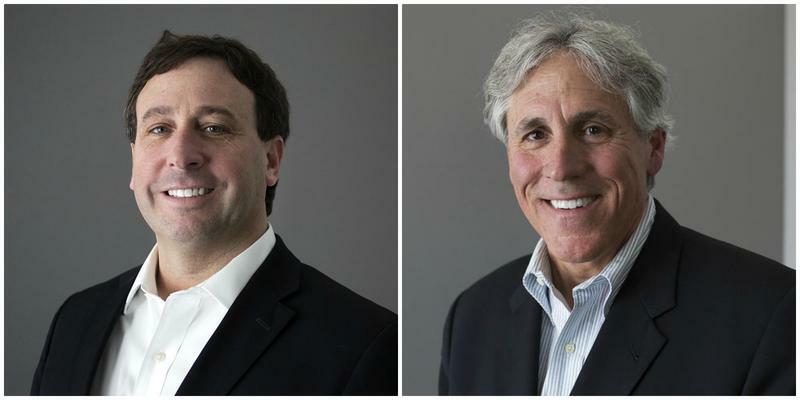 More than four months before the August Democratic primary, incumbent Steve Stenger and Mark Mantovani have – combined – raised and spent more than their predecessors. The Republican chairman of the now-defunct House panel that investigated then-Gov. Eric Greitens has filed a formal complaint with the state Ethics Commission accusing Greitens of running an illegal shadow campaign operation to avoid the state’s campaign-donation laws. “With the ethics complaint that has been filed based on the work of the House investigative committee, the Missouri Ethics Commission has overwhelming evidence to conclude that Eric Greitens, his campaign committee and affiliated dark-money organization broke state campaign-finance laws,” said Democratic committee members Gina Mitten and Tommie Pierson Jr.
Missouri state Rep. Gina Mitten returns to the Politically Speaking podcast to talk about serving on the committee that investigated former Gov. Eric Greitens. The Richmond Heights Democrat represents Missouri’s 83rd District, which includes portions of St. Louis and eastern St. Louis County. 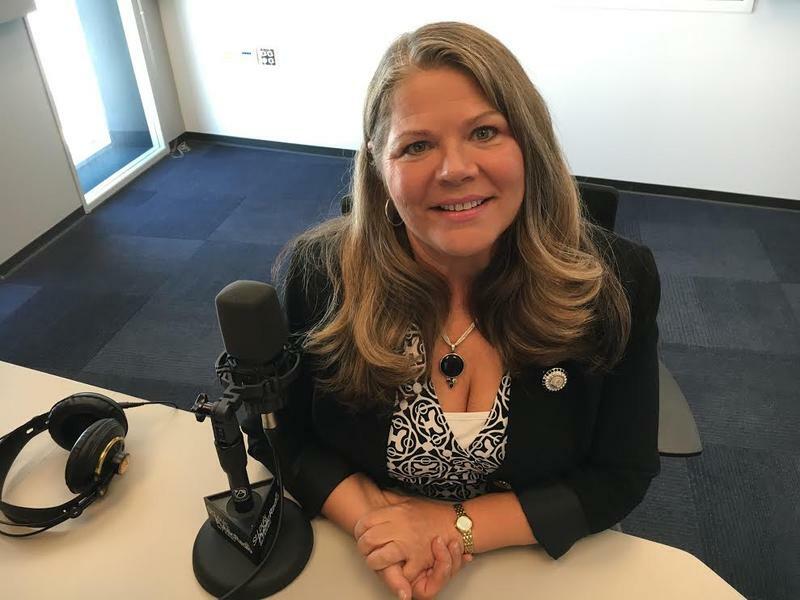 She is running unopposed in 2018 for what will be her last term in the Missouri House.